Bu yazida cesitli markalardan fircalari ve ne icin kullandigimi yazicam. Oncelikle bu yillaaaaar oncesinden kalan Avon far fircasiyla basliyorum. Killari sert oldugu icin hassas gozlere olmaz ama ben hala fircadan cikmasi zor bir renk kullanacaksam bunu tercih ediyorum. Gerektiginde karistirma gerektiginde sadece renk uygulama icin kullaniyorum. Tek bir kil doktugunu bile gormedim, cok memnunum ama Avondan baska fircam yok. 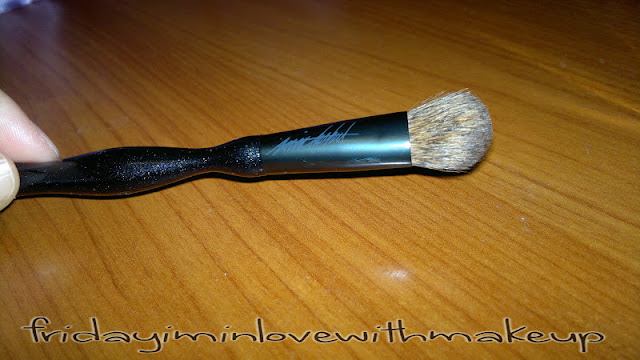 This is my only Avon brush and I got it many many years ago. It is pretty harsh on the eyes but I still use it when I apply colours that are hard to take off. I use it both for applying overall eyeshadow or just for blending. Bu firca Bobbi Brown eyeliner setinden cikmisti ve o zamandan beri tam boyunu almak istiyorum. 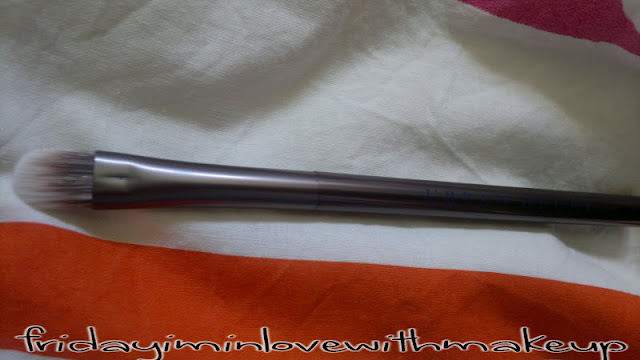 Cok cok cok super bir eyeliner fircasi, uzun hali da bu kadar rahat kullanilir mi bilmiyorum ama bayiliyorum. 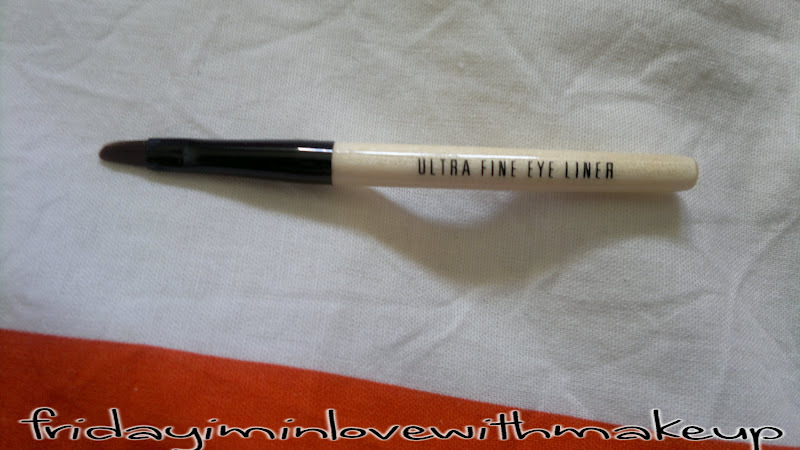 I got this from the Bobbi Brown eyeliner set, and i love it. Ever since I started using it, I want to get the full size one, but im not sure if I would like the full size one as much as I love this. Bu da yine daha sonra bahsedecegim bir far paletiyle birlikte gelen mini boy far fircasi. Kesinlikle bu da eyeliner fircasi gibi cok guzel ve tam boyunu almak istiyorum. Karistirmak icin kullaniyorum. 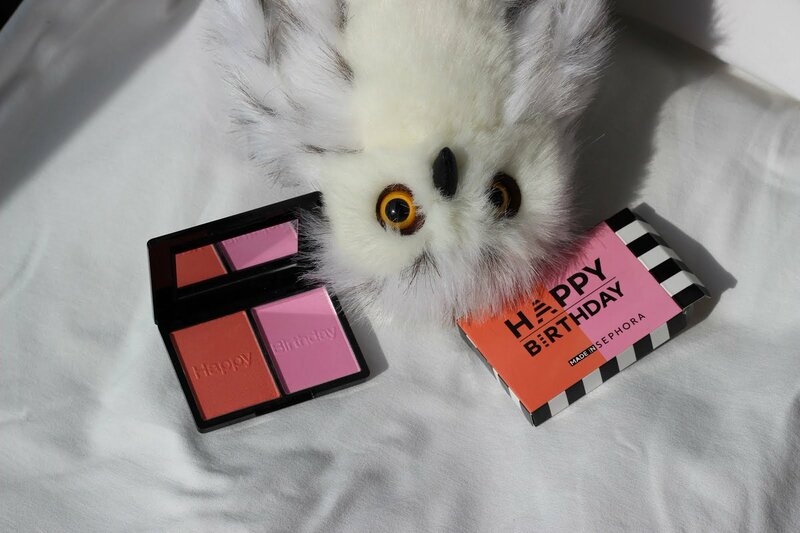 This came with a Bobbi Brown eyeshadow palette which I will talk about soon. This is as pretty as the eyeliner brush and I want to get the full size. I use it for blending and it never sheds. Mac 223: tek Mac fircam. Goz kivrimina far surerken tek gectigim fircam. Ucuna rengi alip goz bosluguna oturtuyorum ve butun isi o yapiyor hic birseye dikkat etmeye gerek yok saga sola goturunce super belirgin bir goz boslugu oluyor. Turkce terimler kullaninca birz tuhaf oluyor ama... anladiniz herhalde. 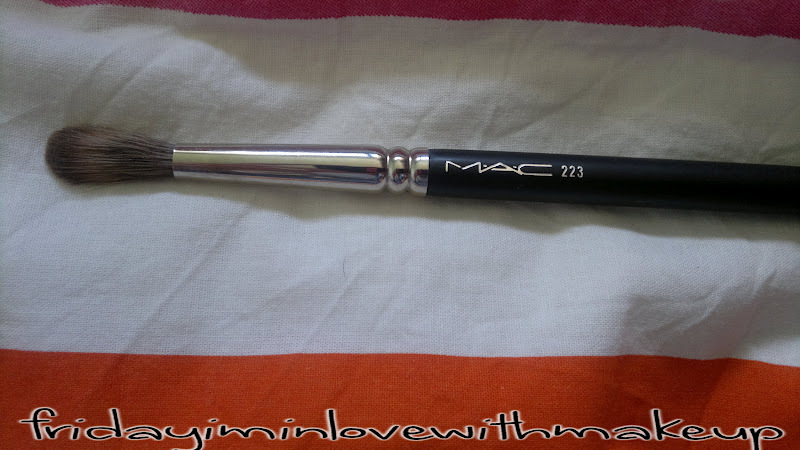 This is my only Mac brush. I use this when I want to apply colour to my crease. It does all the work for you, you just get the colour on the tip of the brush, and then move the brush, and it is done. It fits right into the socket, it is very practical. Amerika'dan aldigim Sonia Kashuk karistirma fircam. Aldigim en dandik firca sanirim bu, hem de kesinlikle Real Techniques'den falan pahaliydi. Inanilmaz kil dokuyor, saka gibi. Ama yikayip kullandikca gecer belki diye daha fazla kullanip daha fazla yikamaya basladim, gozle gorulur sekilde azaldi dokulmesi. This is the worst brush I own. It is expensive, and it sheds like hell. I thought maybe I should use it and wash it more so it may stop shedding, and ever since I see the shedding has reduced. But still, I wouldnt buy it again. Ve Urban Decay Naked 1'den cikan firca. Kil dokmuyor ve krem farlarin uygulamasinda en cok kullandigim firca bu. Yeterli urun aliyor ve guzel uygulama sagliyor. Toz urunlerde de baz rengi uygulamak icin tercih ediyorum. Bu urunu en cok Maybelline Colour Tattoo'larla kullaniyorum. 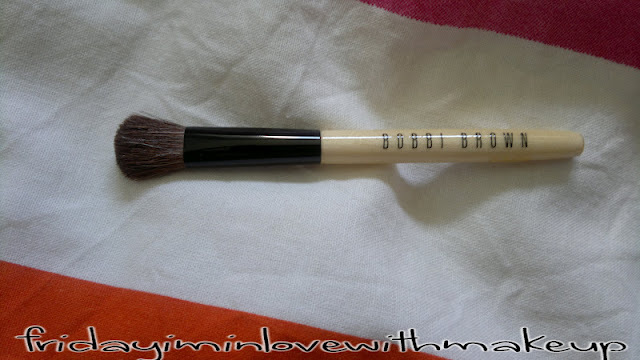 This is the brush that comes with the Naked1 palette. It doesnt shed and it is perfect for cream eyeshadows or applying the base colour with powder eyeshadows. 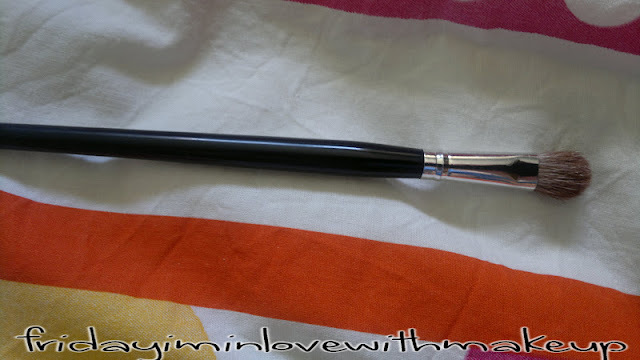 The product I use this brush with the most is the Maybelline Colour Tattoos.